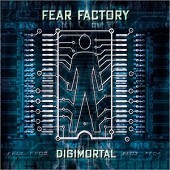 Industrial-esque heavy metal with rapid fire drum beats, satanic vocals, and bloody, jarring guitars pretty much sums up a lot of modern metal, including Fear Factory. Sure, they're better at it than most, but come on, this is over-driven, over-dramatized, and over-played to the point of nausea. Here is a hard hitting band that can slaughter most, yet you can't take their music seriously because it is so ridiculously rooted in silly metal antics. I'll give it a C-.